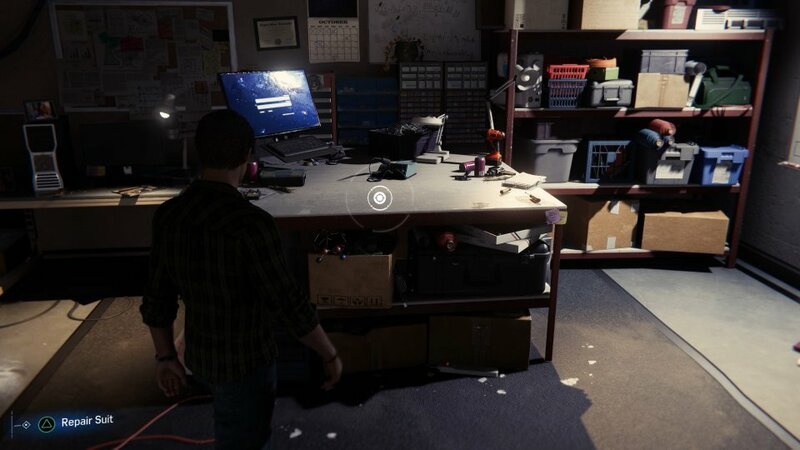 After fixing all the towers and map fixed for Chinatown region, Peter will have to get his banged up Spider-suit fixed up. You will have to spruce up your luck now. Time to go back to the lab after you get a message from Doctor Octavius saying that he has to leave the lab for a day, this is the opening you need to get back and repair the suit without anybody knowing. As you make your way back, you will come across more towers and it is a good idea to fix them all up and reveal more backpack location for XP and tokens. You will also find more criminal activities. You won’t even have to open the map once towers are fixed, since you will receive a ping to the crime locations. It will be completely up to you whether you wanna look into the crimes right away or deal with them a little later. Now that you have arrived at the lab, get to the room and get to repairing using the workbench. Next morning Peter will receive a note saying that you should check your emails and when you do, it will be wonderful surprise for you. You will have several new suit designs to help craft some new armor. Oh yeah, time to class it up. 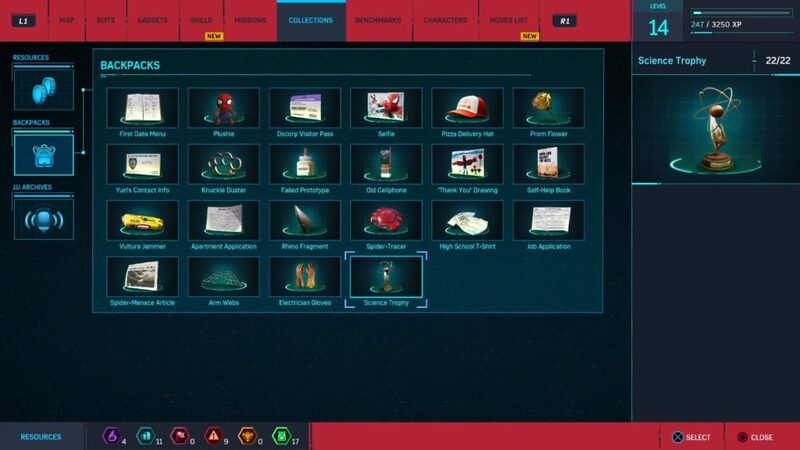 Now you need to craft new suit for yourself, to do that you will require tokens and to earn these tokens you will have to perform various tasks around the city. Crime Tokens – Simply locate any criminal activity and put a stop to it, find bad guys in the middle of the activity and beat the bad guys up and complete sub-objectives to earn more tokens per crime. Backpack Tokens – Easy stuff but you must locate the backpacks first to get the tokens from within and to do that you must fix more towers. Base Tokens – enemies bases are all over the place, their hideouts which are swarmed with thugs and brutes. Like crimes, you can complete sub-missions to earn more tokens. 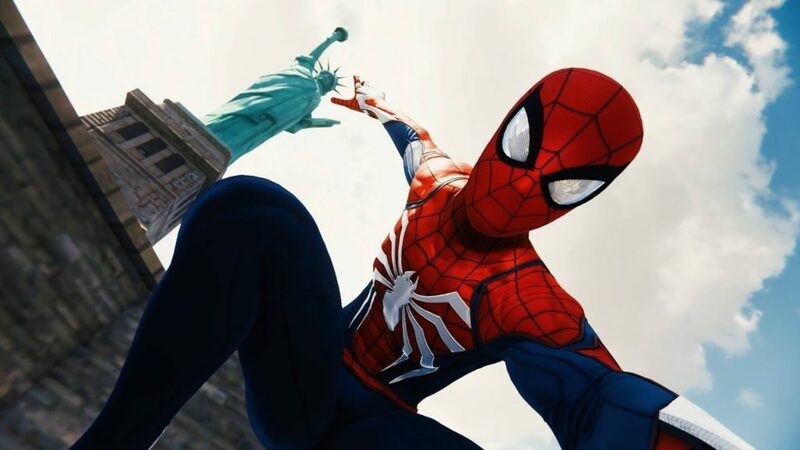 Landmark Tokens – Take pictures, that simple, take some good pictures of Manhattan landmarks and you will earn tokens. It doesn’t get any easier than that. Research Tokens – Lab mini-games will earn you tokens as well which will appear as the game continues on during specific side-missions. Challenge Tokens – There are some specific challenges that will appear around the city and they will require you to the best you can to earn more tokens. You can put the story on hold for a moment to earn and collect as many tokens as you can but there will come a time when these will run out and to discover more, simply start playing the story again and more activities will pop up. 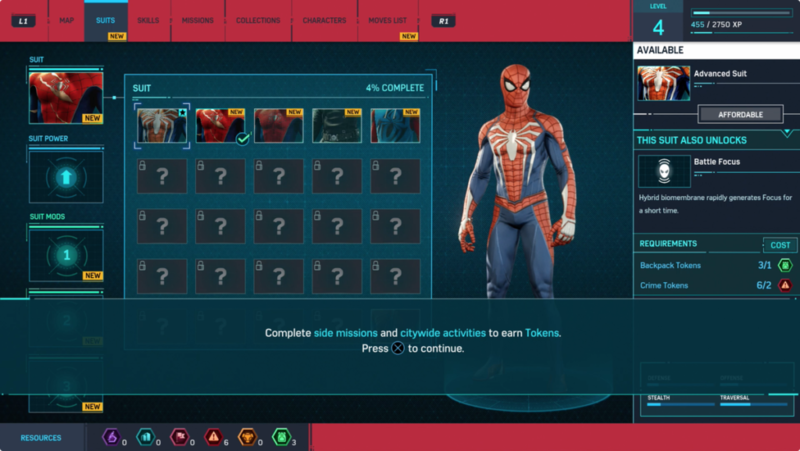 So far, at this point, you have collected 3 Crime tokens and 1 backpack from the last mission alone and the new advanced suit design you have costs 2 crime and a backpack token so you are good for now. 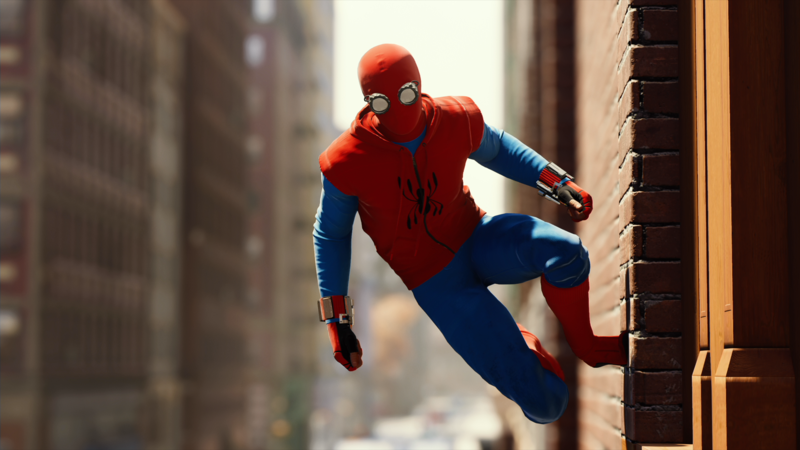 Crafting new suits unlocks new powers connected to the suit – abilities you can use in different ways to gain an edge over opponents. 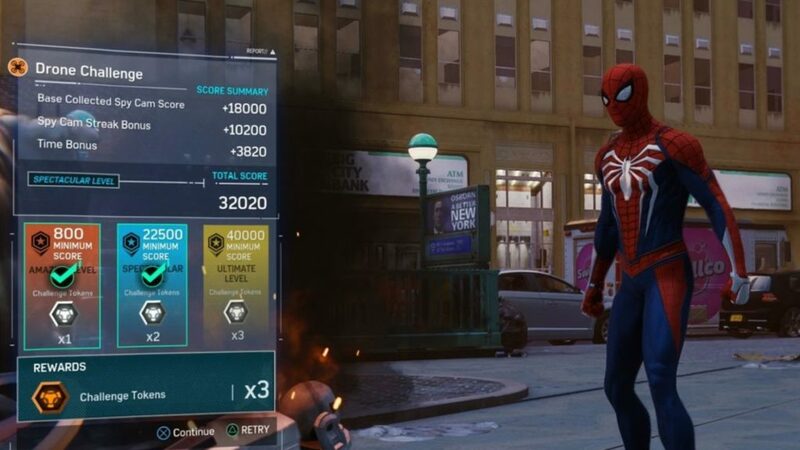 Suit power is unlocked by crafting it and it can be swapped out of any other suit power you have available at the time. 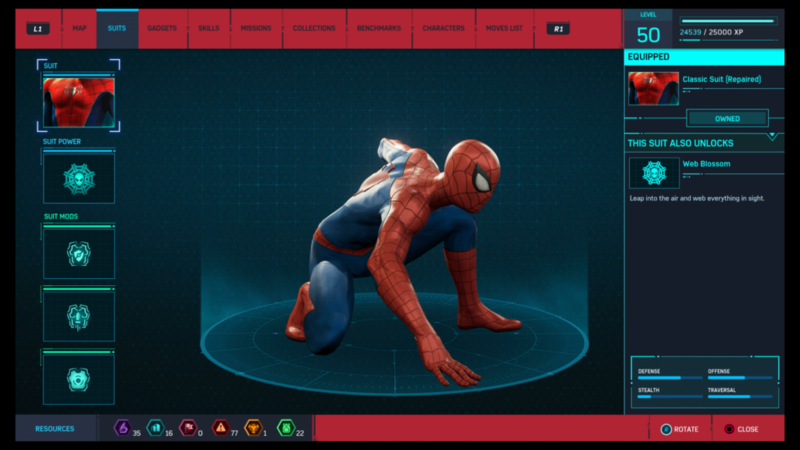 3 suit mods are available with each suit in addition to its own powers. Token are required yet again to acquire these and once you do get them you can optimize your suit further to enhance your defensive and offensive capabilities and in some cases, stealth. Once the suit is all crafted, you might wanna test it out in the world. Leave the lab already and get to it already. A good thing to know is that you can modify the suit on the go and don’t have to come to the lab for it. 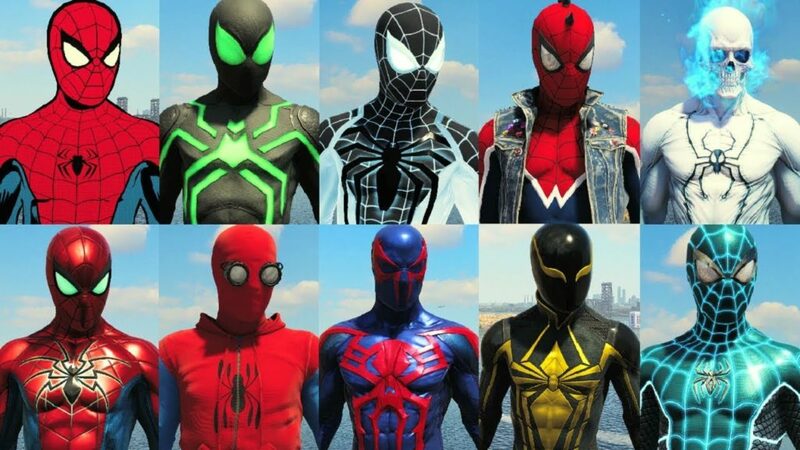 Now you will have new designs such as: Classic Suit (repaired) and the Noir Suit. There are also three suit modes available at this time to craft: Battle Tech, Gel Padding and Long Range Scanner. Look into them and what they bring but as for now, you are all set for the next phase. As the game goes on, you will unlock new designs and earn more and more tokens. Learn different techniques and suit abilities and use the one that fits you the best.